Timothy Morge has been a professional trader, author, educator and mentor for more than 35 years.Besides trading his own capital, Tim is President of Blackthorne Capital, a private money management firm that works with several of the largest non-U.S. Institutional portfolios. In the 1980’s and 1990’s, he managed and taught other traders for institutions like Commodities Corporation, JP Morgan and Goldman Sachs. He remains one of the world’s largest currency traders, routinely carrying positions of several billion U.S. Dollars. Tim has taught hundreds of professional floor traders at the CBOT and CME to become successful off-floor electronic traders. He is a regular lecturer at some of the most prestigious Graduate Schools of Business and Finance in the United States, including MIT, Stanford, and The University of Chicago. He currently donates his time teaching basic techinical analysis to 4th and 5th grade accelerated students at 59 elementary schools around the United States [The program is named Crayon Drawing!]. He is a regular featured speaker at the popular Traders Expos held around the world, writes a weekly column for MSN and moneyshow.com and gives educational webcasts for most of the Exchanges around the world. He is the author of several highly regarded books, ‘Trading With Median Lines’ and ‘Mapping the Markets’ featuring his own trading methods. 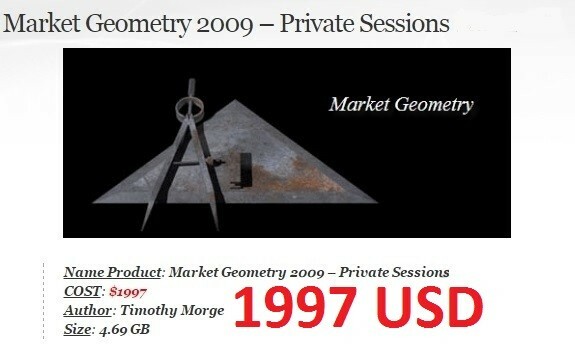 His websites,http://www.medianline.com and http://www.marketgeometry.com, feature a great deal of free information regarding his trading methodology and are visited by thousands of traders from around the world on a regular basis.